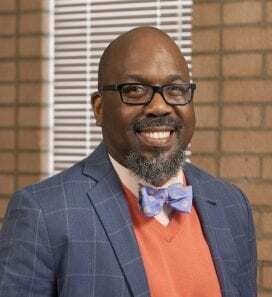 Reginald Tucker-Seeley, MA, ScM, ScD, is the inaugural holder of the Edward L. Schneider chair in gerontology and Assistant Professor in the Leonard Davis School of Gerontology at the University of Southern California (USC). Tucker-Seeley completed master and doctoral degrees in public health (social and behavioral sciences) at the Harvard T.H. Chan School of Public Health (HSPH) and a postdoctoral fellowship in cancer prevention and control at HSPH and the Dana-Farber Cancer Institute (DFCI). His research has focused primarily on social determinants of health across the life course, such as the association between the neighborhood environment and health behavior; and on individual-level socioeconomic determinants of multimorbidity, mortality, self-rated physical, mental, and oral health, and adult height. Tucker-Seeley has received funding from the National Cancer Institute (NCI) for research focused on the development of measures of financial well-being for cancer research. The first grant was an R21 titled “Development of a measure of financial well-being: Expanding our notion of SES” (1 R21 CA158248-01A1) and the second grant was a K01 Career Development grant titled “Financial well-being following prostate cancer diagnosis” (1K01CA169041-01). He is also interested in the various ways neighborhood environment is defined and measured, and he is currently working on projects to create measures of neighborhood economic well-being. Tucker-Seeley has a longstanding interest in the impact of health and social policy on racial/ethnic minorities and across socioeconomic groups. He has experience working on local and state level health disparities policy, and in the measuring and reporting of health disparities at the state level. Tucker-Seeley was recently selected for the 2017-2018 cohort of the Robert Wood Johnson Health Policy Fellowship Program. The fellowship includes one-year residency in Washington, DC working either in a federal congressional or executive office on health policy issues. Before joining the faculty at USC, Tucker-Seeley was an Assistant Professor of Social and Behavioral Sciences at the Harvard T.H. Chan School of Public Health and in the Center for Community Based Research at the Dana-Farber Cancer Institute. Prior to graduate study at Harvard, he received an undergraduate degree in accounting from the University of Tulsa and worked in the accounting/ auditing field for five years, most recently as an internal auditor at Saint Louis University. He also completed an MA degree in Human Development Counseling from Saint Louis University and a clinical counseling internship at the Washington University Student Health and Counseling Service.